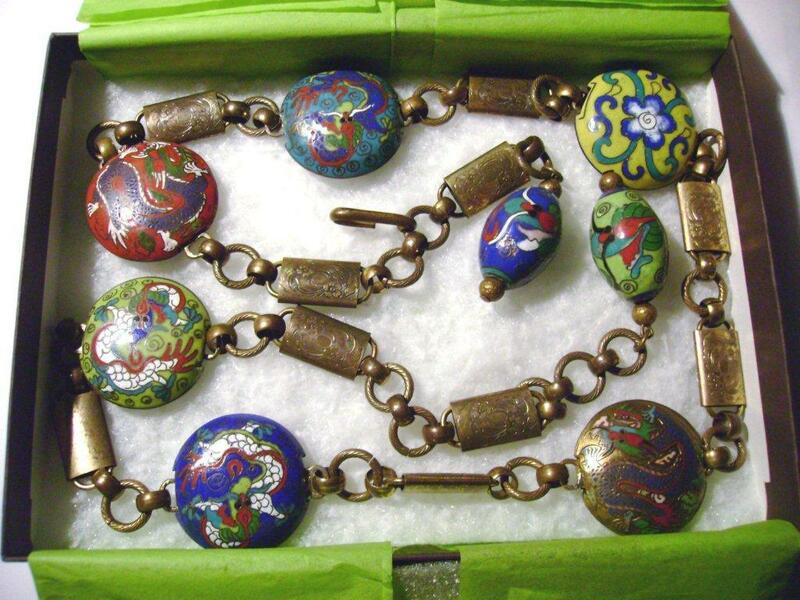 These belts often feature cloisonne dragon and floral beads that appear in designs by Louis C. Mark for the Rice-Weiner company and pieces attributed to Miriam Haskell. Rubylane shop owner Karen A. at Rare Treasures connects the dots and suggests that these brass belts might actually have been produced by B. Blumenthal & Co. Inc. This seems like a good possibility, as the brooches and belts are consistent with 1930s fashions and costume jewelry. 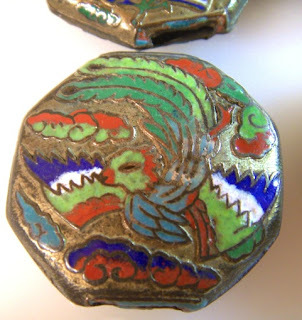 UPDATE: A blog reader has contributed these photos of matched octagonal champleve phoenix and dragon disk beads that the seller stated were belt pieces. 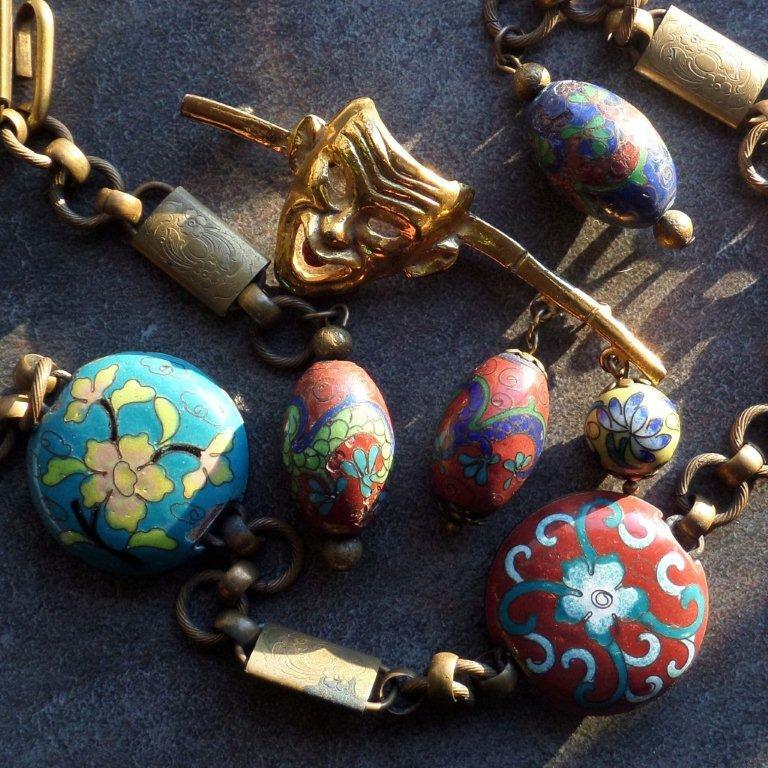 "I found them at a very tiny and primitive antique shop on Hwy 90 Bat St. Louis ,Mississippi pre 1990's." 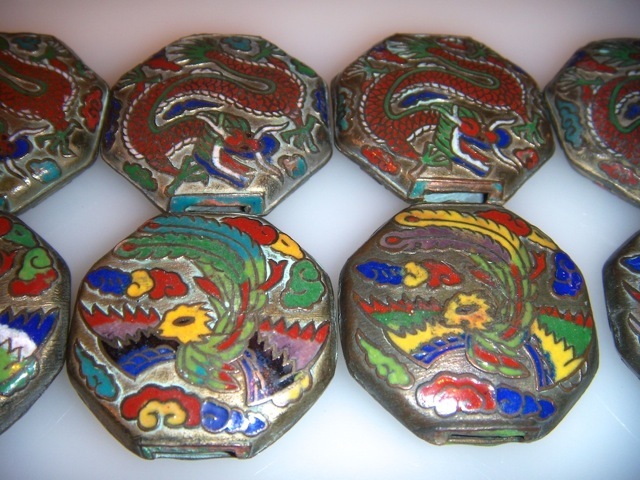 They seem carefully enameled, with the unusual feature of turquoise enamel surrounding the slotted hole and what seems to be a silver plating. I like how the artisans colored each piece a bit differently, especially the phoenixes.